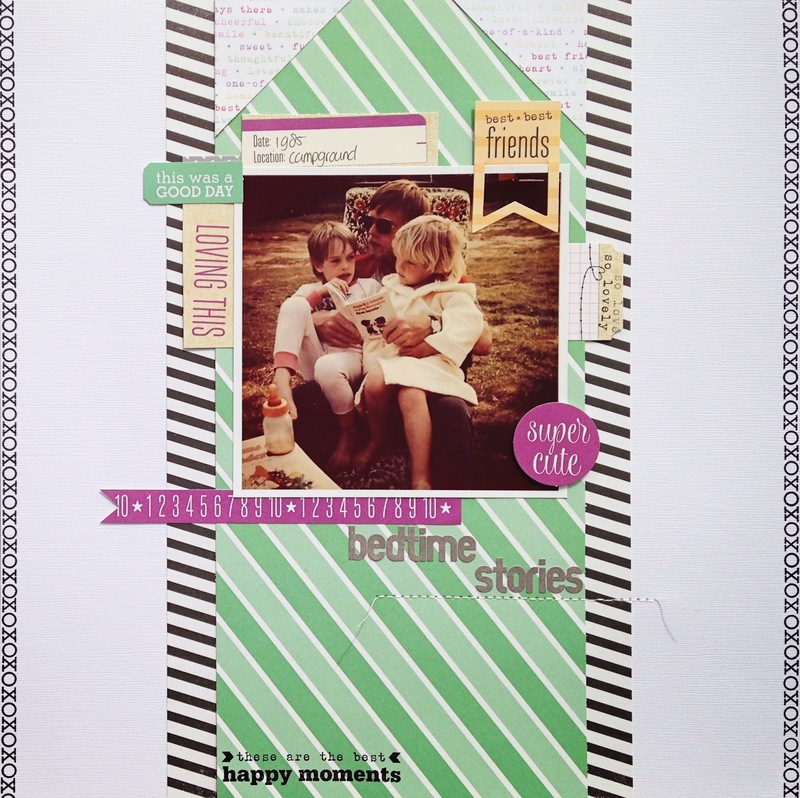 It's time for the May sketch challenge at Life.Paper.Scrapbook. and this one is sponsored by Create Indie. I found this old picture taken in 1985. Those years we did spend our Summers on the campground and our bedtime stories were read outside. 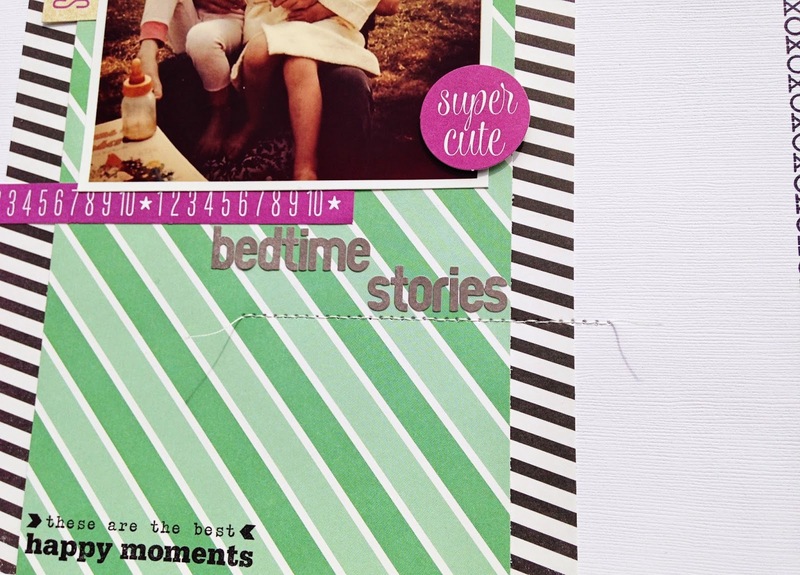 For this layout I used the Elle's Studio Penelope collection. We can't wait to see what you do with this sketch! 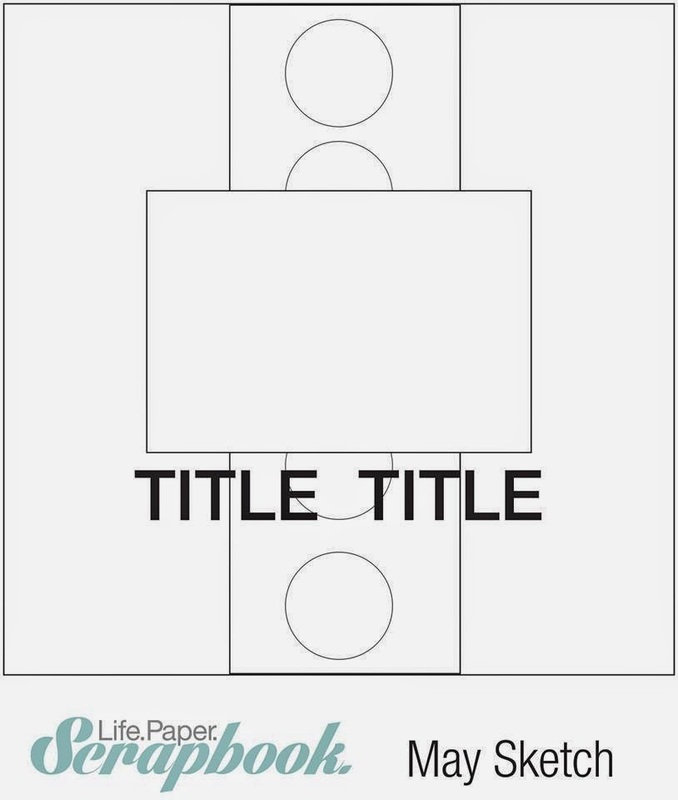 Be sure to link up your project over at Life.Paper.Scrapbook. for your chance to win a $50 gift voucher to spend in the Create Indie store!! Create Indie is a small company based in the NJ/NYC Metro area, that loves crafting products. They carry high quality photopolymer clear stamps and mylar stencils all made in the USA. Trendy tools that can be used in your scrapbook layouts, hybrid scrapbooking or project life pages, cardmaking, and mixed media projects, over and over again. 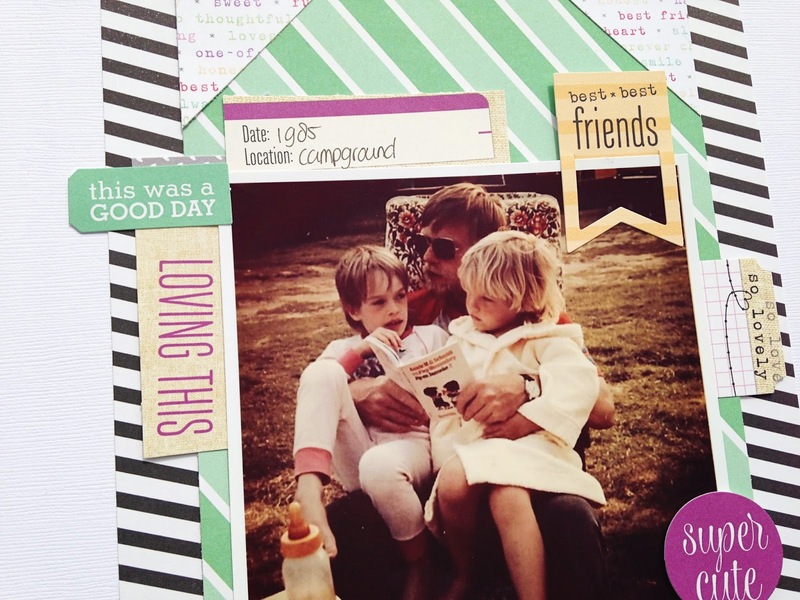 Create Indie is also offering LPS readers 20% off their orders when they use the code LIFEPAPERSCRAPBOOK at check out. Gorgeous! I loveeeeeeeee the colors!!!! the stripes are really eye catching! lovely layout, D! I love your picture and your take on the sketch!